Wow, your coloring is fantastic!!! Love the scene you created for her! Thanks for joining the TGF challenge! 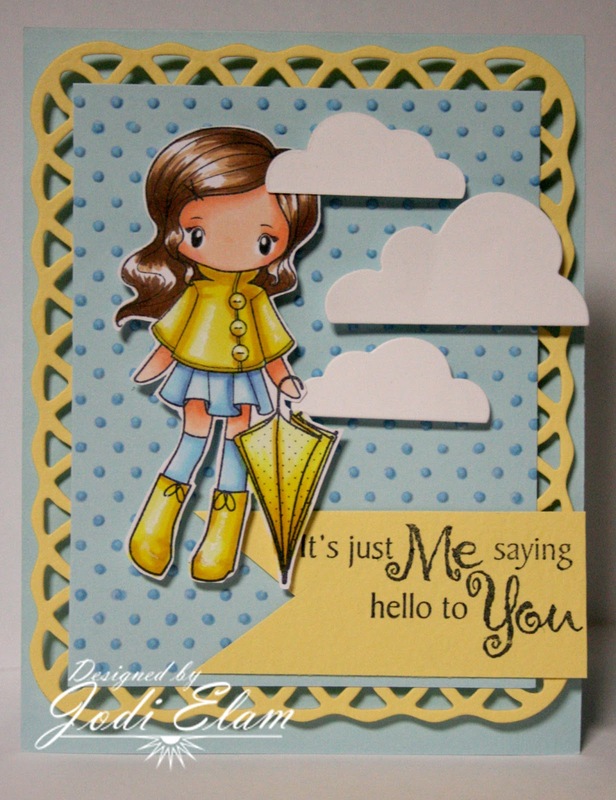 I love that you chose light blue to go with your yellow and the embossed background looks like rain.